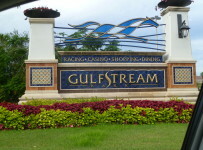 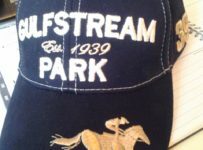 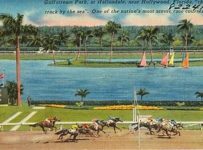 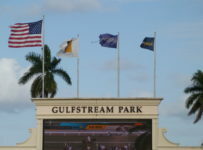 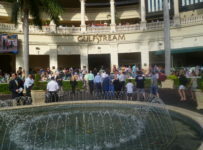 Gulfstream Park will have 14 races and an early first post of 11;55 a.m. on Saturday July 1 for its Annual Summit of Speed. 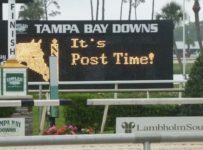 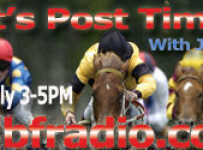 First post is usually12:55 p.m. at Gulfstream on Saturdays, with either eleven or twelve races. 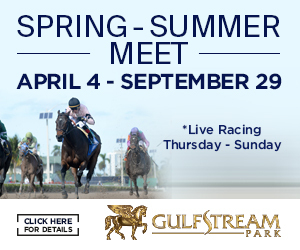 The Summit of Speed card will have seven stakes races-all sprints. 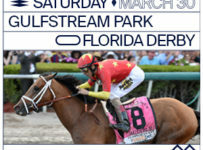 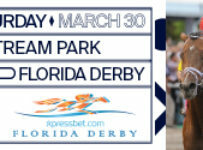 Highlights will be the $250,000 Princess Rooney (Grade 2), at seven furlongs on dirt for fillies and mares 3-years-old and up, and the $250,000 Smile (Grade 3) at six furlongs om dirt for 3-years-old and up. 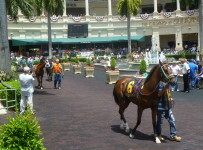 a fees-paid berth in the Breeders’ Cup Filly & Mare Sprint on Nov. 3. 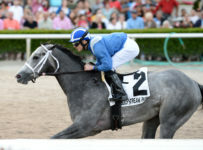 The Smile winner will earn a fees-paid berth in the Breeders’ Cup Sprint on Nov. 4. 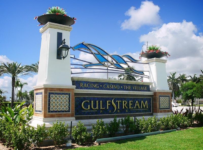 This year’s Breeders’ Cup is at Del Mar in Del Mar, Calif.
Gulfstream will resume racing on Thursday with ten races and first post of 1:15 p.m. 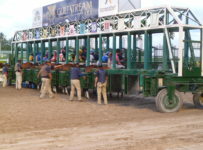 The carryover on the Rainbow 6 is $64,534. 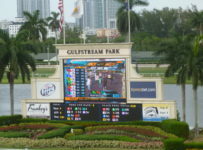 It is on races five through ten, with the sequence scheduled to start at 3:25 p.m.